In the Late 1970s, clubs such as FC Nantes and AS Saint Etienne dominated French soccer. Clubs whose success relied upon a successful youth set up of detection and promotion. Bordeaux was a modest team that regularly finished in mid table. It was on August 1st, 1978, that former club Treasurer and Vice President Claude Bez became President of Bordeaux, following Jean Roureau’s resignation. Bez had the ambition to make Bordeaux a force to be reckoned with at home and abroad. He sought to build a team around long serving standard-bearer Alain Giresse. However, in the initial stages there were no funds available, therefore Bez made a specialty of signing end of contract players to avoid paying transfer fees. 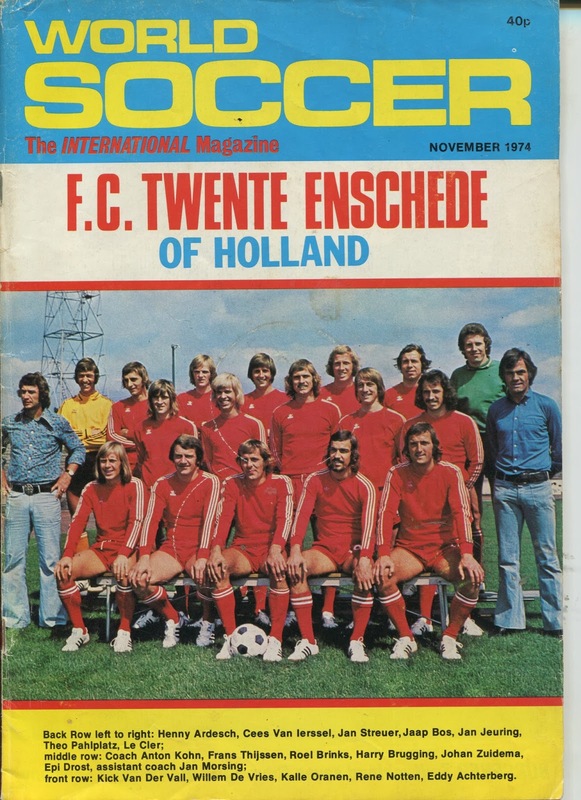 For his first full season as President (1978/79), with Argentinean Luis Carniglia as Manager, he signed goalkeeper Christian Delachet, Francis Meynieu, Andre Guesdan, Eric Boucher, George van Straelen, Mansilo Vukotic, Phillipe Redon and Nambatingue Toko. These were all solid players, though clearly not the star quality that would be acquired in the years to come. The team finished in tenth place for this first season. For the following season (1979/80), the signings were more ambitious. They included defenders such as future International Jean-Christophe Thouvenel and Daniel Tallineau. Also arriving were Felix Lacuesta, Omar Sahnoun, the Argentine Juan Domingo Cabrera and strikers such as Bernard Blacquart and Internationals Bernard Lacombe, Albert Gemmerich and Gerard Soler. Belgian manager Raymond Goethals replaced Luis Carniglia after 13 matches. The team finished at sixth place, with these quality imports, and was in touching distance of a UEFA Cup place. From the beginning Bez and his Technical Director Didier Couecou had tried to convince Bordeaux Mayor Jacques Chaban-Delmas, that financial help would be required to take Bordeaux to the next level. For the (1980/81) season, more impressive signings were made as the Municipality of Bordeaux subsidized Six Million Francs. International defenders Marius Tresor and Francois Bracci arrived from OM and Strasbourg. Tough battling midfielder Rene Girard and Jean Fernandez arrived from Nimes and OM respectively to strengthen a much improving side. More importantly future World Cup winning manager Aime Jacquet arrived from Olympique Lyonnais to take charge. The team finished in the third place and earned UEFA Cup qualification. In this successful season, Alain Giresse also fought his way back into the National team. 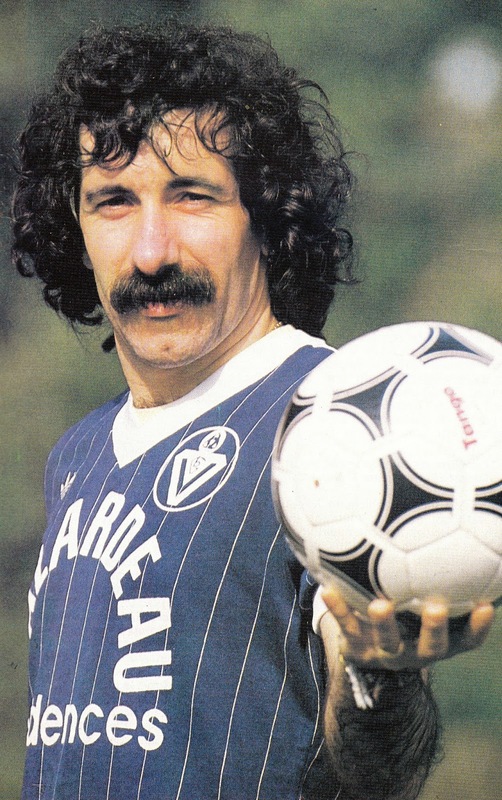 For the following season (1981/82), Bez was already eyeing the League title and once again the Municipality subsidized Four Million Francs for transfers. International midfielder Jean Tigana arrived from Olympique Lyonnais, joining up with his former Manager Jacquet from Lyon. Yugoslav goalkeeper Dragan Pantelic arrived from Radnicki Nis along with Algerian defender Nourdine Kourichi, midfielder Antoine Martinez and striker Mario Relmy rounding out the signings. Despite challenging for the title up to near the end, the team finished in fourth place and was eliminated from the UEFA Cup by SV Hamburg in the Second Round after eliminating Iceland’s Vikingur in the First Round. The lowest point of the season was the sending off Pantelic towards the end of the season that led to a one-year suspension after he was accused of kicking one of the linesmen. 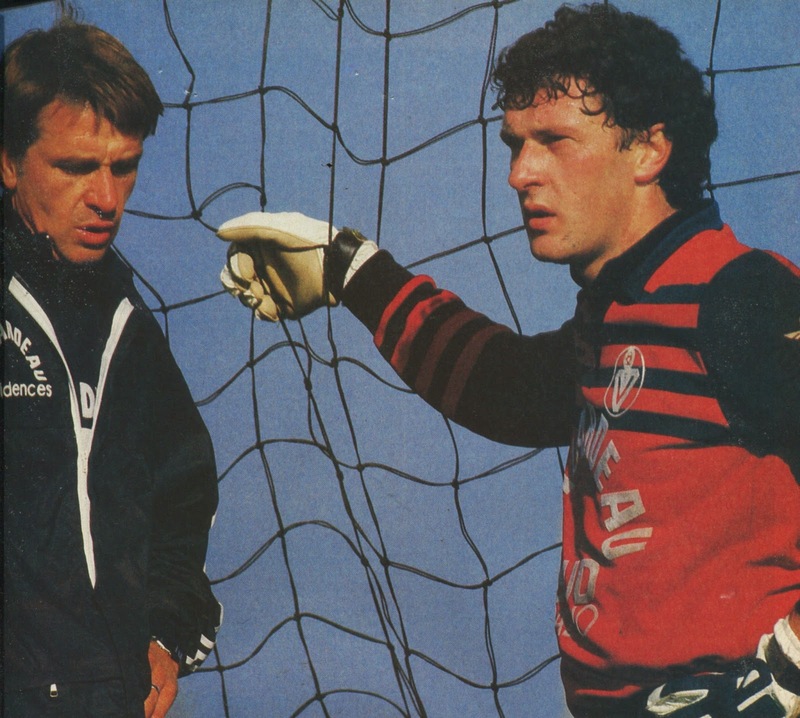 To protest this decision, for the final match of the season vs. Nantes, Claude Bez forced captain Alain Giresse to play as goalkeeper, replaced after an hour by Marius Tresor. The final score of (0-6) was no surprise. Several Bordeaux players earned spots in France’s 1982 World Cup squad that finished fourth. These included France’s Star of the tournament Alain Giresse, as well as Marius Tresor, Jean Tigana, Bernard Lacombe, Gerard Soler and Rene Girard. With the collapse of Saint Etienne due to the ‘La Caisse Noire’ Financial scandal, Bordeaux was increasingly laying claim as France’s top team. For the (1982/83) season, once again the Municipality kicked in Six Million Francs for team strengthening. The new signings included goalkeeper Richard Ruffier from Nimes, a necessity after Pantelic’s lengthy suspension. Though it was an unsuccessful signing as eventually Christian Delachet reclaimed the goalkeeping position. Others included former International defenders Leonard Specht and Raymond Domenech from Strasbourg and Paris St Germain. West German midfielder Caspar Memering arrived from SV Hamburg, along with West German striker Dieter Muller from VfB Stuttgart. Michel Audrain arrived from Angers as a striking option. Bordeaux finished a distant second to an excellent Nantes side, but were clearly regarded as the team of the future as well as the most spending. In the UEFA Cup, Bordeaux were once again eliminated in the Third Round by Universitatea Craiova after eliminating Carl Zeiss Jena and Hajduk Split and in exciting encounters. For the following season (1983/84), Bordeaux made their intent clear by signing defender/midfielder Thierry Tusseau from Nantes. Signing a key player from the recent Champions was a very symbolic act, as it showed they were the top dogs that even the Champions could not hold onto their best assets. Veteran International defender Patrick Battiston arrived to strengthen the defense leaving the sinking ship at Saint Etienne. Bernard Zenier arrived from Nancy as an extra attacking option. In contrast to the previous seasons these new reinforcements came free, as their contracts had expired. Bordeaux were neck to neck with AS Monaco through the entire season, but finally triumphed in the League only due to goal difference. This League title was Bordeaux’s first since 1950. Alain Giresse, Bernard Lacombe, Jean Tigana and Thierry Tusseau were also members of the France National Team that triumphed in the UEFA European Championships at the end of the season on home soil. While defender Jean-Christophe Thouvenel participated in the victorious Los Angeles Olympics. In the UEFA Cup Bordeaux had been disappointing, they were overpowered and eliminated by East Germany’s Lokomotiv Leipzig in the First Round (2-3 and 0-4 losses). Now firmly established as the dominant force in France, Bordeaux entered their first Champions Cup with a stronger and more experienced squad. For the following season (1984/85), former International goalkeeper Dominique Dropsy arrived from Strasbourg. After offloading the disappointing Caspar Memering, Bordeaux signed the Portuguese midfielder Fernando Chalana from Benfica after he had starred in the recent European Championships. Unfortunately his time at Bordeaux would be wrecked by series of injuries and he never had the desired impact. Bordeaux once again triumphed in the League and this time with more ease than the previous season, despite some resistance by Nantes. In the Champions Cup, Bordeaux showed its newfound confidence and experience by eliminating Spain’s Athletic Bilbao and Romania’s Dinamo Bucharest in difficult First and Second Round ties. For the Quarterfinals, they were paired with USSR’s Dnipropetrovsk. Though Bordeaux were favored this time, the ties were once again hard fought. The first leg at home ended in a one-to-one tie with Dieter Muller even missing a penalty kick. The second leg seemed daunting, specially after Bordeaux fell behind early in the match, however, they showed their resilience by fighting their way back and scoring through a free kick by Tusseau. Bordeaux went through on a penalty kick shoot-out with Chalana scoring the decider. 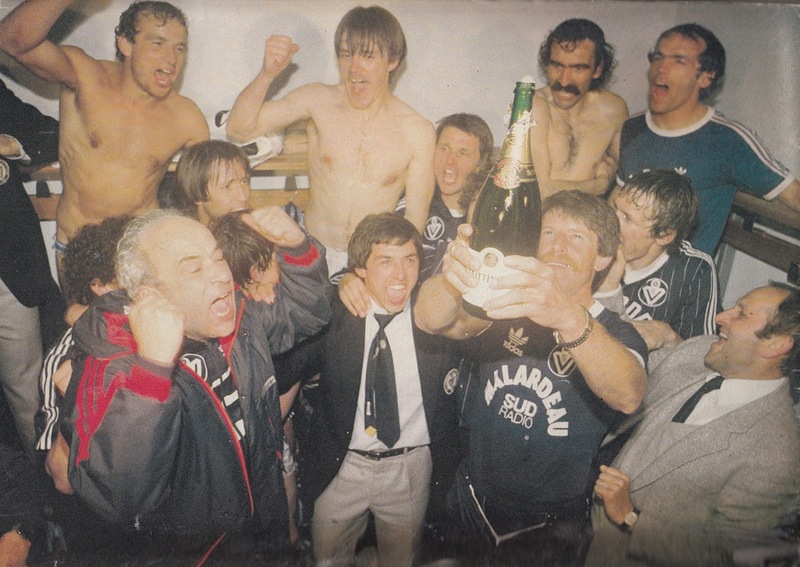 In the semifinals Bordeaux were paired with Michel Platini’s Juventus and this was one hurdle too many, as Juventus displayed its far more extensive experience in the European stage by comprehensively defeating Bordeaux (3-0) in Turin with Platini in inspired form by assisting on the first two goals and scoring the third one himself. Two weeks later, Bordeaux gained some honor and consolation by defeating Juventus (2-0) at home, however, it was clear that despite some progress Bordeaux was perhaps not yet ready for European triumph. 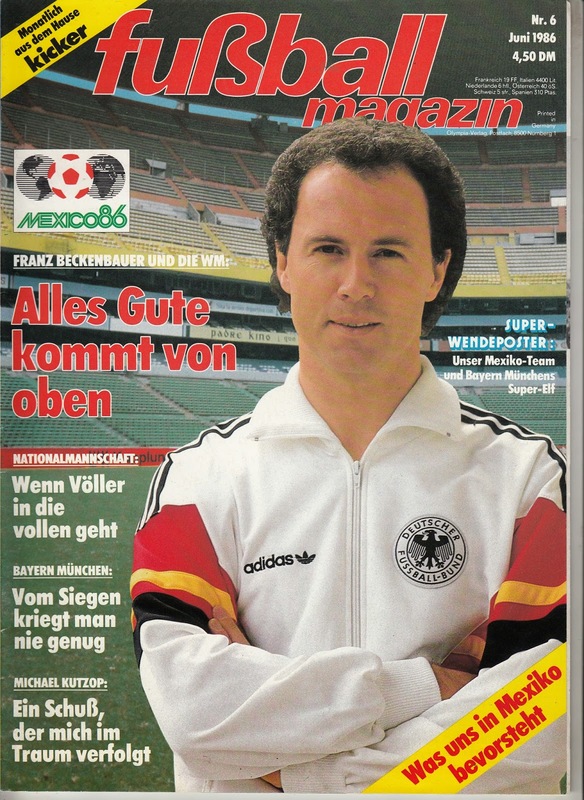 For the (1985/86) season, West Germany’s Dieter Muller departed after three successful seasons and replaced with fellow West German Uwe Reinders of Werder Bremen. Young promising players such as midfielder Pascal Malbeaux from Rouen and striker Marc Pascal from Olympique Marseille also arrived. The backbone of the squad remained intact. With Lacombe and Giresse showing signs of age, Bordeaux finished in third place behind Champions Paris St Germain and Nantes. Their Champions Cup experience was a fiasco as Fenerbahce eliminated them in the First Round, despite having high hopes after the previous season’s exploits. 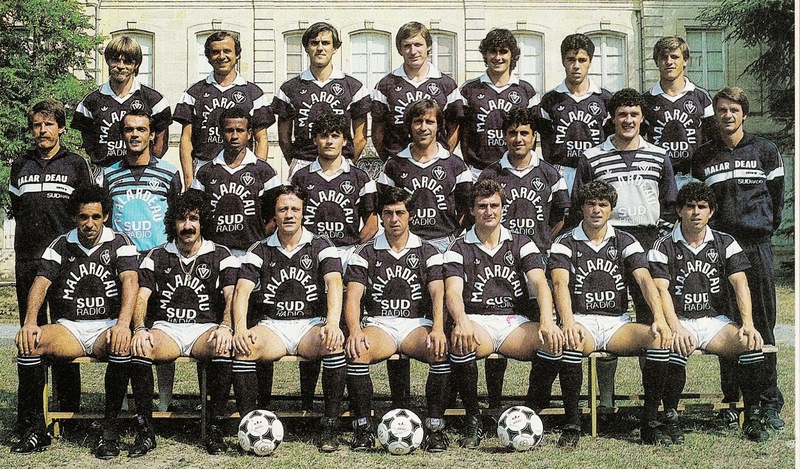 This Bordeaux squad reached its nadir by losing to Monaco by a lopsided score of 0 to 9 on January 18, 1986. However, Bordeaux did manage to win the French cup at the expense of Olympique Marseille and salvage a somewhat disappointing season. The only other bright spot of the season was the emergence of young home grown defender Alain Roche who would go on and earn International caps. 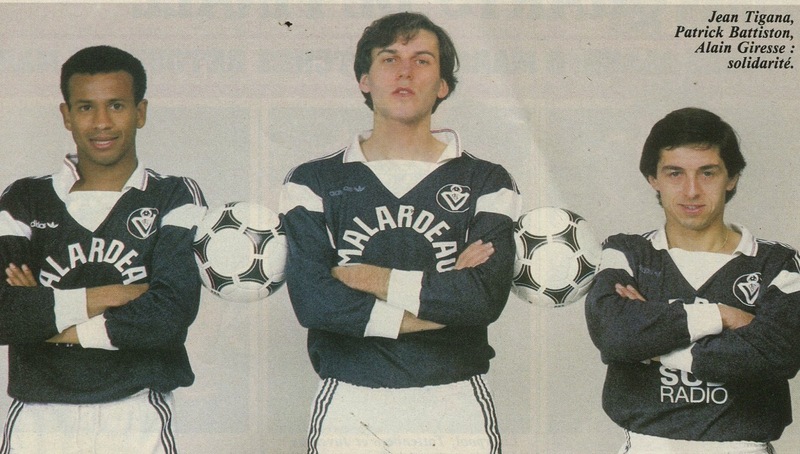 For the following season (1986/87), Bez tried to rejuvenate the side by signing young International midfielders Jean-Marc Ferreri and Phillipe Vercruysse from Auxerre and RC Lens respectively. Young International striker Jose Toure was also signed from Nantes. Yugoslavia’s Vujovic Twins, defender Zoran and striker Zlatko arrived from Hajduk Split. These signings marginalized the position of older players such as Specht, Lacombe and Reinders. 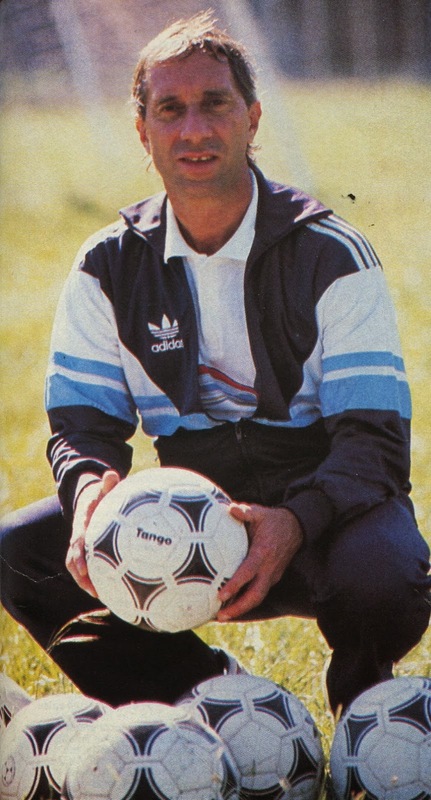 Alain Giresse saw the writing on the wall with the double signing of Ferreri and Vercruysse and joined Bernard Tapie’s revolution at Olympique Marseille. This move deeply angered Bez as Giresse had given his word that he would remain at Bordeaux for one more season and would have repercussions during the course of the season. Bernard Tapie’s takeover at OM had also triggered a new era, as Bez would now have to compete on the transfer market with the equally ambitious Tapie and OM. Despite the two teams being neck to neck for a majority of the season, Bordeaux broke free towards the end and not only won the League title but also retained the French Cup by defeating their archrivals OM in the Final. Bordeaux’s midseason acquisition of young striker Phillipe Fargeon had made the difference as he went on a scoring spree. 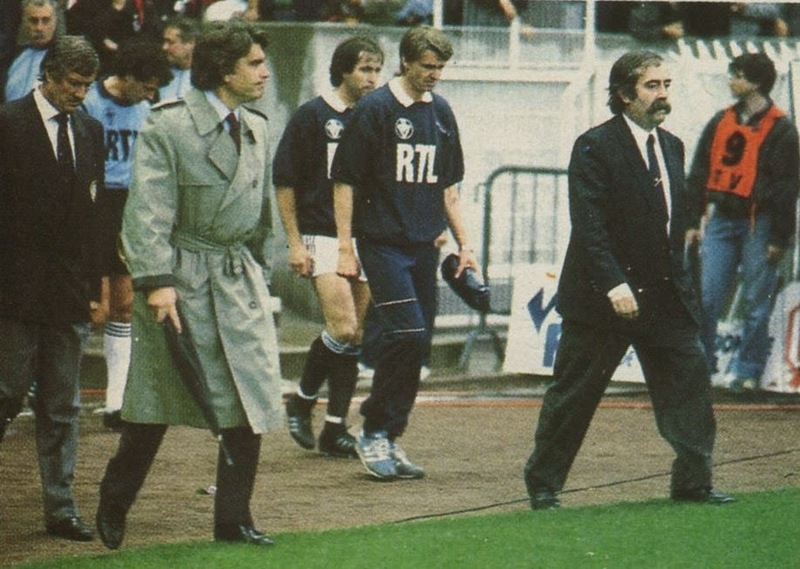 A very negative incident that occurred during the season was when OM played at Bordeaux on April 11, 1987 for what was Alain Giresse’s first match back at Bordeaux. Claude Bez wanted to use the occasion to settle his scores with Giresse. 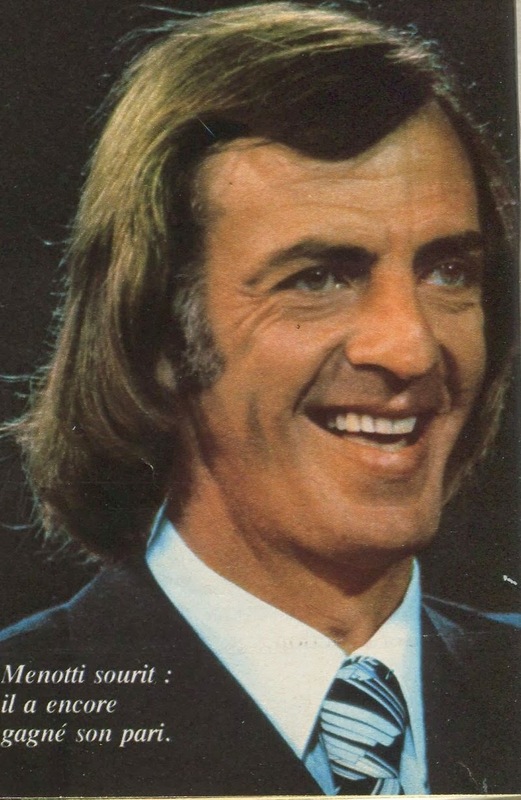 He made sure that the Match Programme had no mention of Giresse in it and a question mark was placed on the journal under where his name and photo would have appeared. During the match itself, tough West German defender Gernot Rohr was given the task of brutally marking him. So bad was his treatment that Rohr was sent off along with OM’s Bade after a nasty foul on Giresse in the 22nd minute led to an altercation between Rohr and Bade. Bez went on to say that Giresse will always be a great player but his human qualities leave a lot to be desired. In the Cup Winners Cup, Bordeaux defeated Ireland’s Waterford, Benfica and Torpedo Moscow to meet East Germany’s Lokomotiv Leipzig in the semifinals. Each team won (1-0) away from home and this close contest was decided with Leipzig getting through narrowly on a penalty kick shoot-out. For the following season (1987/88), many ageing players departed after years of solid service. Patrick Battiston joined AS Monaco; Specht returned to Strasbourg, Chalana returned to Portugal, while Bernard Lacombe retired. Defenders Eric Pean and Didier Senac joined from Lille And RC Lens respectively. International midfielder Dominique Bijotat arrived from AS Monaco. Bordeaux finished as runner-ups that season behind Arsene Wenger’s AS Monaco bolstered by the arrivals of English pair of Mark Hateley and Glenn Hoddle. In the Champions Cup, Bordeaux eliminated Dinamo Berlin and Lillestroem in the first rounds to be paired up with PSV Eindhoven in the Quarterfinals. Bordeaux were eliminated on the away goals rule after tying (1-1) at home and a scoreless tie in Eindhoven. The following season (1988/89) proved to be Bordeaux’s worst season in a decade. Jose Toure, Rene Girard, Dominique Bijotat, Philippe Fargeon and Zlatko Vujovic were all offloaded to be replaced by Dominique Thomas (Lille), Eric Dewilder (RC Lens), Bernard Genghini (OM) and Yannick Stopyra (Toulouse). Belgian midfielder Enzo Scifo arrived on loan from Internazionale Milano and English striker Clive Allen arrived from Tottenham. Early in the season, Claude Bez was involved with the French National team when he acted behind the scenes to organize the ousting of National Team manager of Henri Michel after France’s World Cup Qualifier at Cyprus ended as a tie and jeopardized the World Cup Qualification. A role was created solely for him, as he became the superintendent of the National team. He was responsible in appointing Michel Platini as new National team Manager. Their League form was simply disastrous, as the new recruits were mostly disappointing, and Aime Jacquet paid the price and was sacked in February 11, 1989 with the team in a perilous position. Didier Couecou acted as interim Manager for the remainder of the season. The team finished in a disgraceful 13th position and failed to qualify for Europe for the first time in nearly a decade. The midseason signings of Danish midfielder Jesper Olsen from Manchester United and striker Eric Cantona from Olympique Marseille (on loan) did not improve matters. The only positive aspects of the seasons were the debuts of future stars Bixente Lizarazu and Christophe Dugarry. In the UEFA Cup, Bordeaux reached the Third Round after eliminating Dnipropetrovsk and Ujpesti Dozsa. In the third Round they were paired with Diego Maradona’s Napoli and were eliminated after losing at home (0-1) and a scoreless tie away. By the new year it was becoming apparent that their was a lack of revenue at Bordeaux and Bez decided to cut funding from all the other sports to concentrate the funds solely on the Football team. A shift of power seemed to be taking place when Bernard Tapie’s Olympique Marseille clinched the domestic double that season and were openly making a bid to land Europe’s top prize for the coming future. For the following season (1989/90), with no European Football to generate extra revenue, the team was in dire financial straits and many key players had to be offloaded. Alain Roche and Jean Tigana were sold to recent double winners Olympique Marseille. Foreign players Zoran Vujovic, Enzo Scifo and Clive Allen were all offloaded. Veteran Belgian Manager Raymond Goethals was back for a second stint to steady the ship. Cameroon goalkeeper Joseph-Antoine Bell arrived from Toulon along with former defender Patrick Battiston returning after two seasons with AS Monaco. Jean-Luc Dogon, William Ayache and West German veteran Manfred Kaltz came on board as defensive reinforcements. Kaltz left as soon as the season started due to foreign player restrictions and joined Mulhouse. New midfielders Frederic Meyrieu and Internationals Bernard Pardo and Jean-Philippe Durand were signed from OM, Toulon and Toulouse respectively. West German striker Klaus Allofs arrived from OM along with veteran Dutch striker Piet Den Boer from Belgian side Mechelen. These new signings clicked well and Bordeaux were League leaders for much of the season. They were eventually overtaken near the end of the season by defending Champions Olympique Marseille. But worse news was the fact it was discovered that the club 300 Million francs to creditors. The following season (1990/91) was the last of the Bez era as the team collapsed amid the scandals. Jesper Olsen, Klaus Allofs, Pardo, Den Boer and Meyrieu departed to be replaced with Belgian midfielder Patrick Vervoort (Anderlecht), Dutch striker Wim Kieft (PSV Eindhoven), Icelandic striker Arnor Gudjohnsen (Anderlecht), Pascal Plancques (Brest), Racing Paris’ duo of Hakim Ben Mabrouk and Jean-Pierre Bade and Didier Deschamps on loan from OM. The mediocre season started with Goethals being sacked early in the season, to be replaced first on an interim basis by former defender, the West German Gernot Rohr and eventually by former Olympique Marseille Manager Gerard Gili. In the UEFA Cup after eliminating Glenavon and Magdeburg, Bordeaux were completely overpowered by AS Roma in the third round by losing (0-5) away and (0-2) at home. On October 30, 1990, Bez admitted that he had in the past offered prostitutes to referees for European Cup matches. On November 26, 1990, Claude Bez resigned after a 12 year Presidency under the weight of the debt. Bordeaux finished off the season in 10th position, but due to its massive debt, was forcibly relegated to the second division. Alain Affelou became the new President with the task of rebuilding. 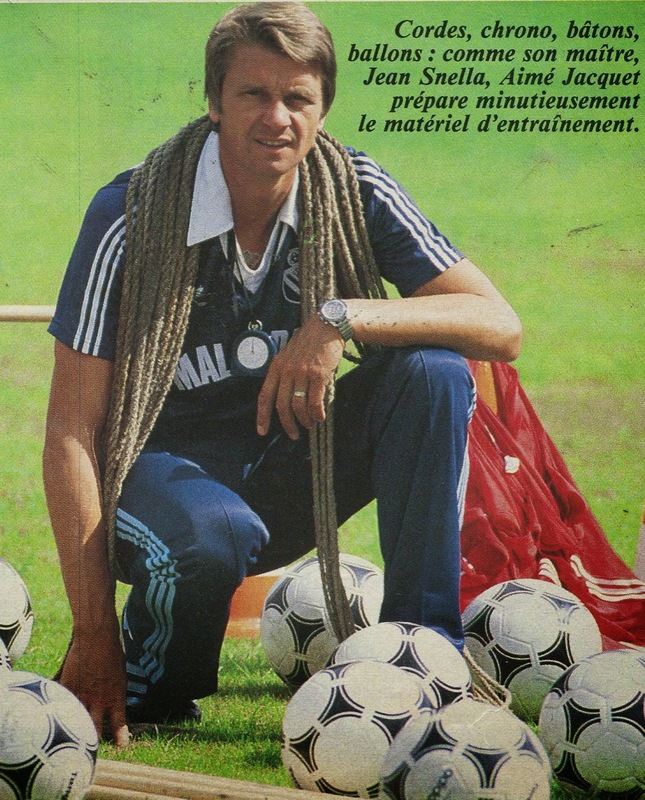 In the following years Claude Bez was investigated for laundering money from player transfers among other charges. On March 22, 1994, Bez was sentenced to a 2 years prison sentence (one year suspended) and a fine of 2 million Francs, after it was discovered the club had laundered money from local collectors to renovate the Haillan team headquarters. 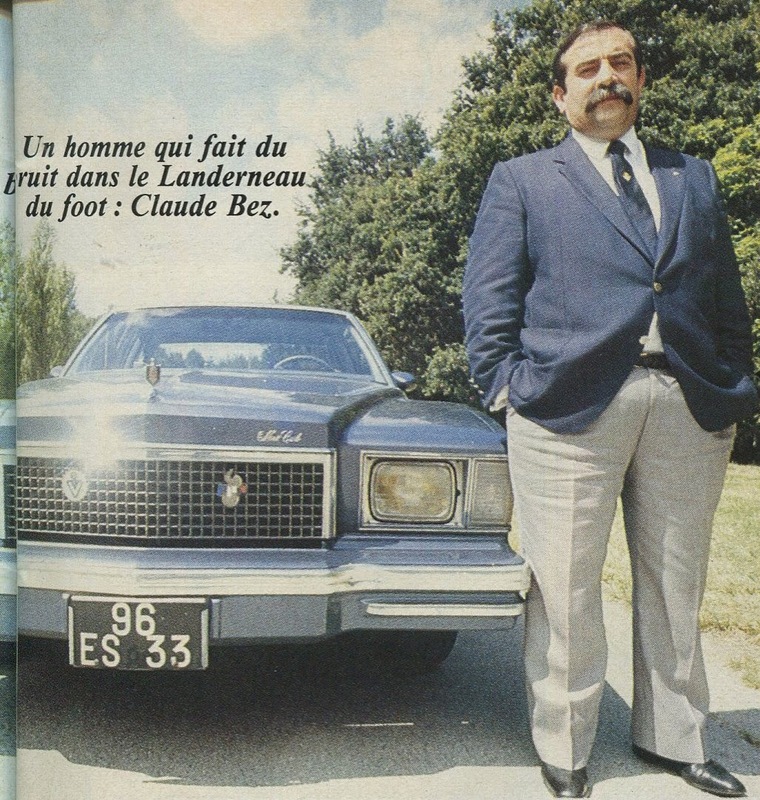 Claude Bez passed away on January 26, 1999 after a heart attack aged 58. By the time he passed away, there were still many potential lawsuits on the horizon. He was credited for building a team that could rival the best in Europe as well as generating revenue for teams from Television. Up to the 1980s clubs did not receive any money from Television, as the airwaves were free. Bez was instrumental in making sure that for covering home matches Television stations paid money and the rest of the teams benefited. 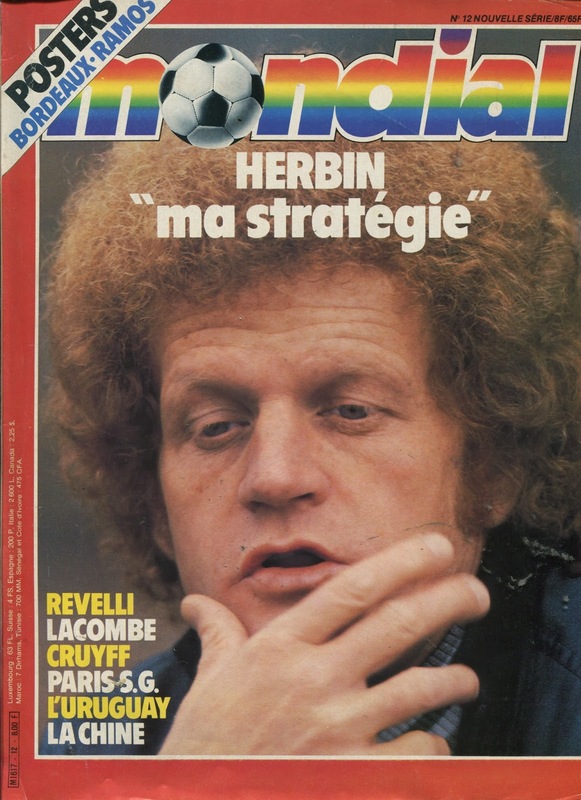 Despite his achievements on and off the field, his abrasive manner and the scandals overshadowed his legacy, as he became synonymous as symbol of the excesses and frauds of French soccer of the late 1980s. The stereotypes are that Cesar Luis Menotti is the apostle of attacking football and Carlos Bilardo is synonymous with negative football.